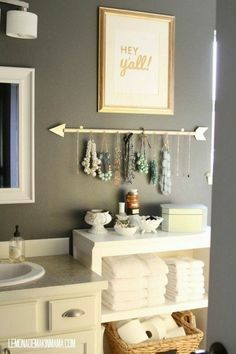 O vation Property Management is a leader in its field, understanding the extensive details involved in renting and maintaining an apartment. As the property manager of various exquisite complexes, Ovation’s goal is to maintain and preserve the value of each property while remaining compassionate to the needs and desires of its many residents. 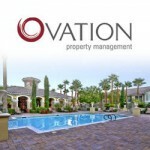 Simply put: Ovation strives to offer the best apartments in Las Vegas. Ovation’s due diligence in maintaining the grounds; efficiently organizing repairs as needed; managing municipal services; reverently collecting rents; procuring tenants that fit the standard and overall life style of the community; performing routine cleaning; and overall monitoring the status of each location to make sure the property and its residents complies with laws and regulations, is what makes Ovation an industry leader. With various locations around Las Vegas, Ovation’s list of potential homes will satisfy and amaze even the most particular of tastes. For a list of all locations visit our interactive map. The Henderson area of Las Vegas is known for its affluent standard of living. Henderson located in Clark County, Nevada, is the second largest city in Nevada; Las Vegas being the largest. As part of the Las Vegas metropolitan area, Henderson offers great sites and entertainment options and venues. With a high median income and amenities catering to local residents, Henderson has been named as “One of the Best Cities to Live in America” by Bloomberg Businessweek. Ovation has 6 locations (Tempo, Adiamo, Arzano, Chateau Calais, Firenze and Verona) within the Henderson area that offer elegance, luxury and style to match the tranquility of this alluring environment. Ovation has 5 illustrious locations in Summerlin (Altessa, Madera, San Croix, Tuscany, and Venicia) where residents enjoy the convenience of nearby shopping, dining, recreation, schools, art and entertainment. The Summerlin area is convenient for commuters because of its close proximity to major highways such as the I-215 beltway, the Summerlin Parkway and the Desert Inn Arterial. The scenic beauty of the Red Rock Canyon is also a major part of this exquisite area. Ovation also has several locations in East, Northwest, South, and Southwest Las Vegas, which has amenities and conveniences to please the masses. The Eastern complex, the Acapella, is one of three senior apartments. Acapella offers several amenities that are sure to make the new living situation of a beloved senior seem like a stay at an exotic resort. The Northwest Las Vegas area has Minuet, and Tivoli. Minuet is also a seniors only complex. Tivoli offers great amenities such as a Clubhouse, Fitness Center, Free WiFi in Recreational Areas and Clubhouse. The complex is gated and features a Gazebo with Gas Barbeque and a pool/spa. Tivoli a family friendly area located in a fantastic part of town. All of the Ovation apartment communities welcome pets up to 80 pounds, except for our Senior Apartments. Ovation Property Management’s representatives are here to help you find the place you will happily call home for years to come. Call or stop by today. Introducing our brand new apartment community in Southeast Las Vegas – Tempo! Relish in the beautiful weather of Las Vegas with our professional landscaping exterior designs and luxurious interior layouts. Introducing our brand new apartment community in Southeast Las Vegas – Tempo! Relish in the beautiful weather of Las Vegas with our professional landscaping exterior designs and luxurious interior layouts. Tempo is an affordable 55 and over community which features two spacious floor plans, including a 1 bed/1 bath (Capri) or a 2 bed/1 bath (Salerno) option.